The best thing about a TBT (Throw Back Thursday) post is that I am writing this in Poland and most of my readers are in the USA…which is 6 hours behind in time…so I have extra time to get my thoughts together. Last week I recounted our adventures driving to Krakow. 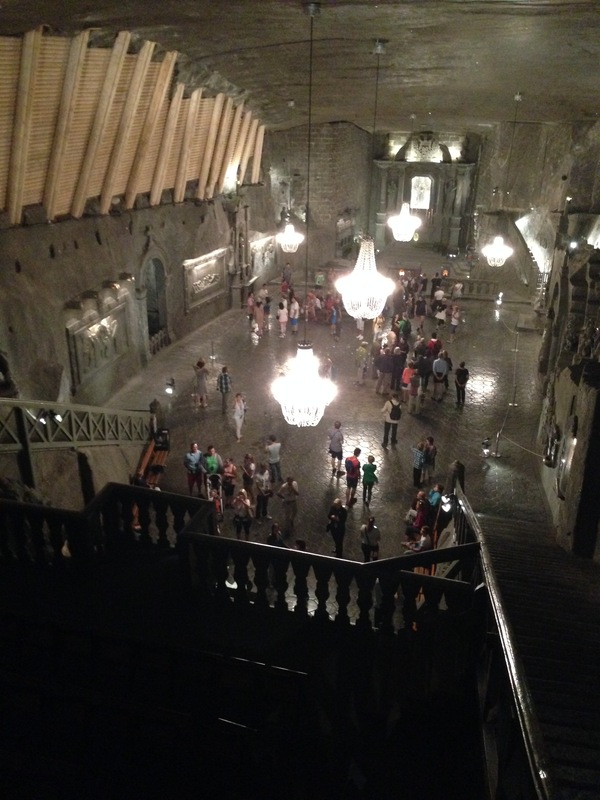 One of the biggest tourist attractions is the Wieliczka Salt Mine, which is visited by more than a million tourists each year! 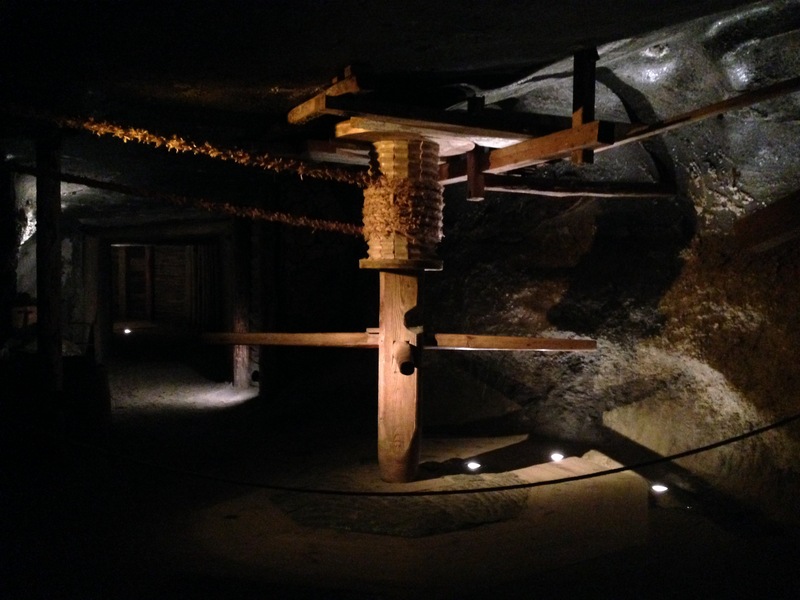 The mine was built in the 13th century and produced table salt continually until 2007 and is one of the oldest working mines in the world. 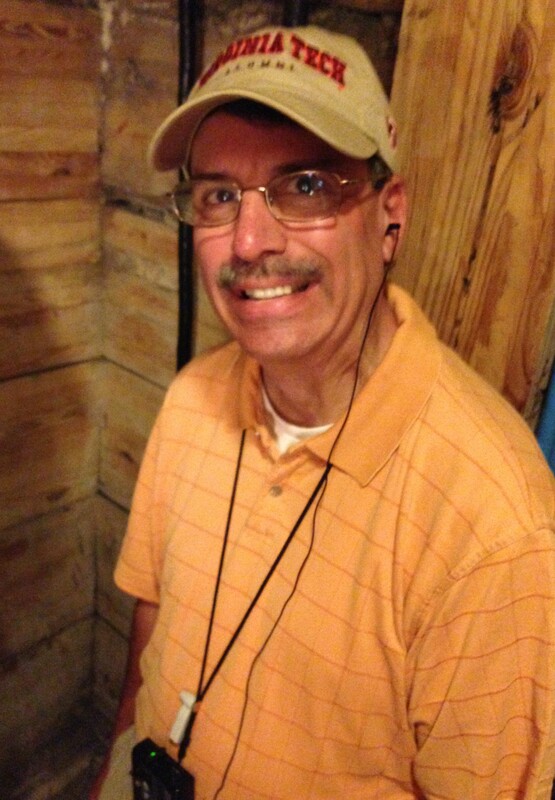 The first part of the tour (once you’ve gotten your tickets and stood in the “English” tour line) is to descend into the mine….by stairs….wooden stairs….wooden stairs that wind down a shaft….260 stairs to be exact. (It was a physical therapy workout!). 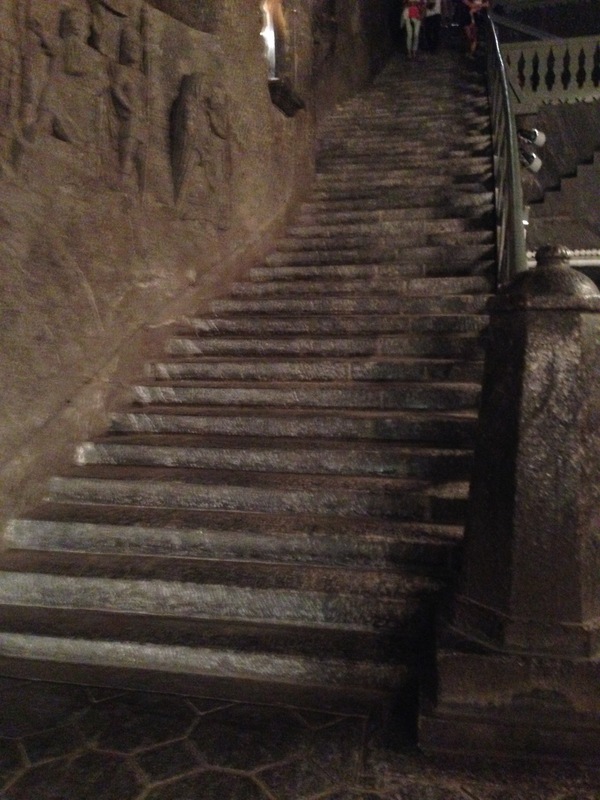 Once you were down those steps….you entered into a mine full of passageways and tunnels that lead you deeper down into the mine (and yes, there are more stairs…178 more!). 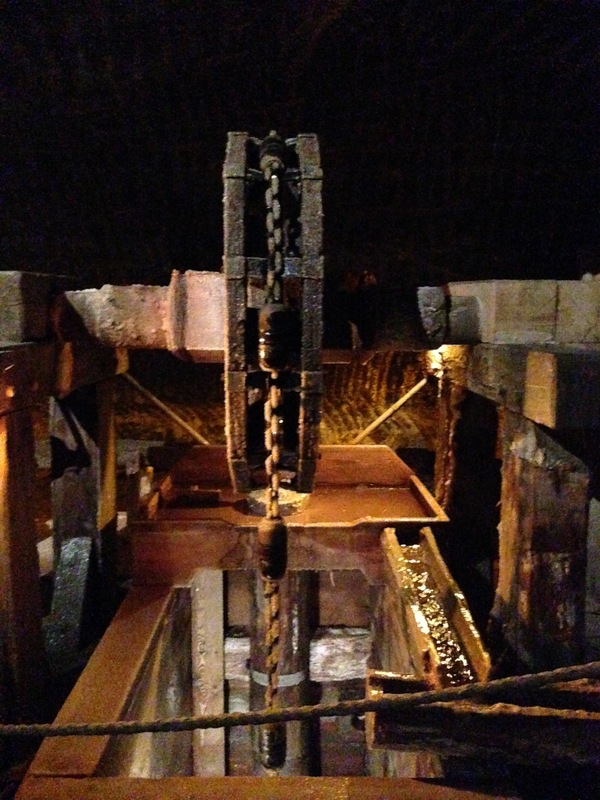 The tour is a 1.9 mile journey….but you only see 2% of the mine! So you can imagine how HUGE this mine is. David is excited about this! 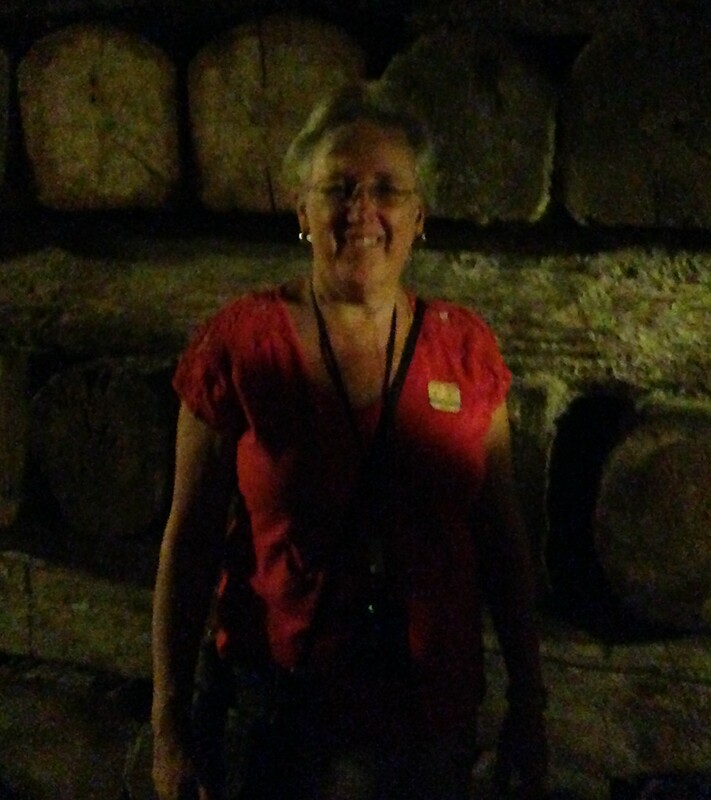 We walked through chambers and tunnels with the original beamed walls, and tunnels where the walls (and floors) are salt. 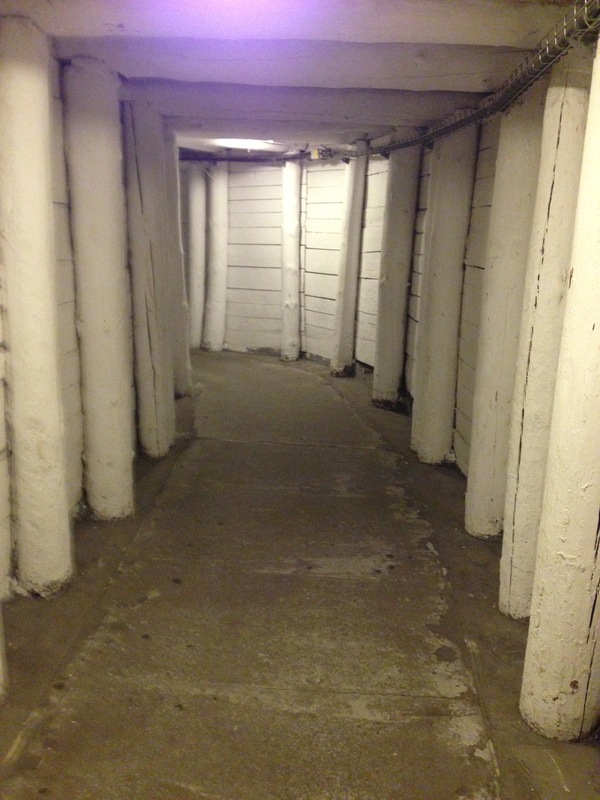 and tunnels where every direction looked the same, so pay attention and follow the group so you don’t get lost. 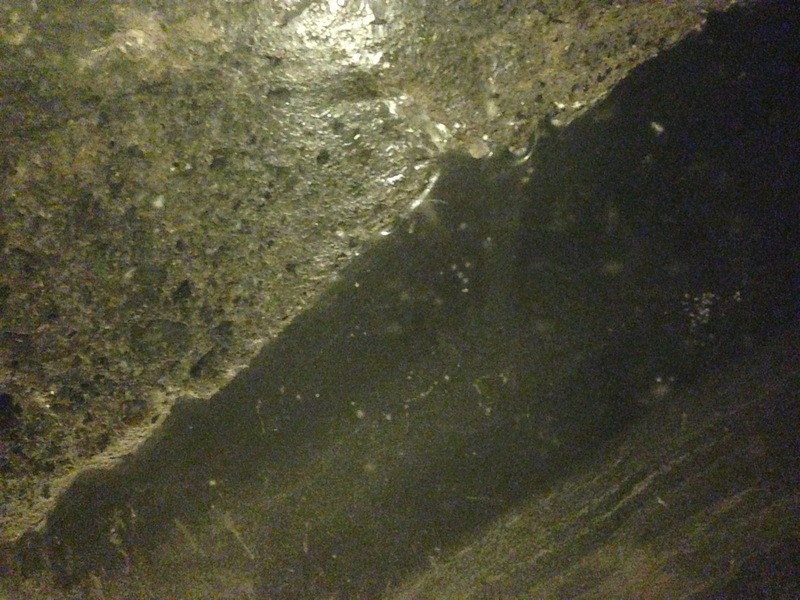 Yes, you are encouraged to “lick” the walls so you can be sure they are salt! 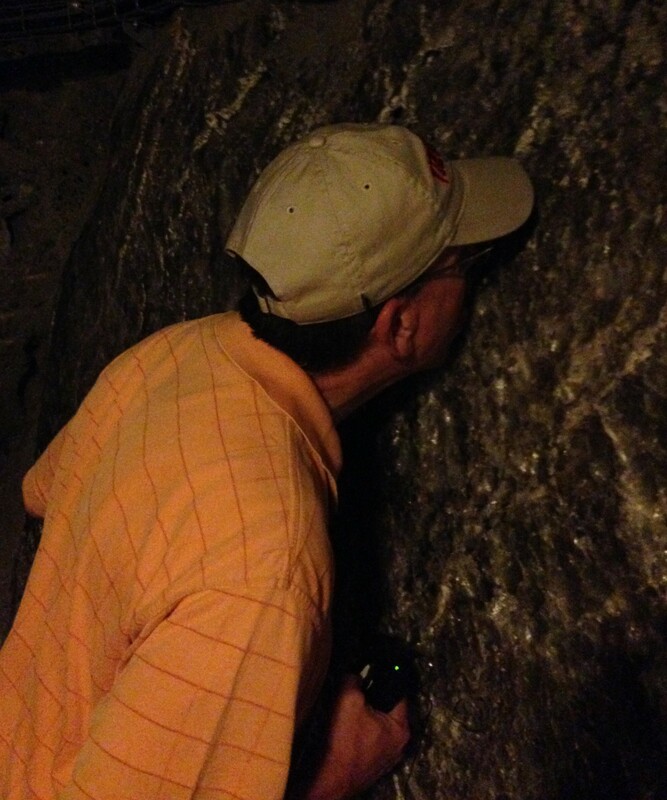 Not, it’s not full of germs as the amount of salt kills any germs (or so says our tour guide). 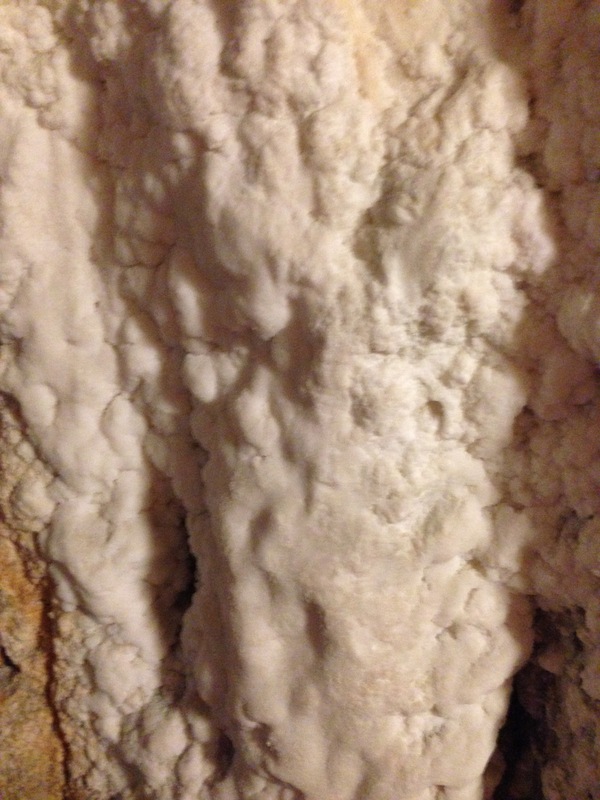 The walls look like polished marble in places (but it’s really salt) and more crystalized in other places where it looks more like cauliflower growing out of the wall. 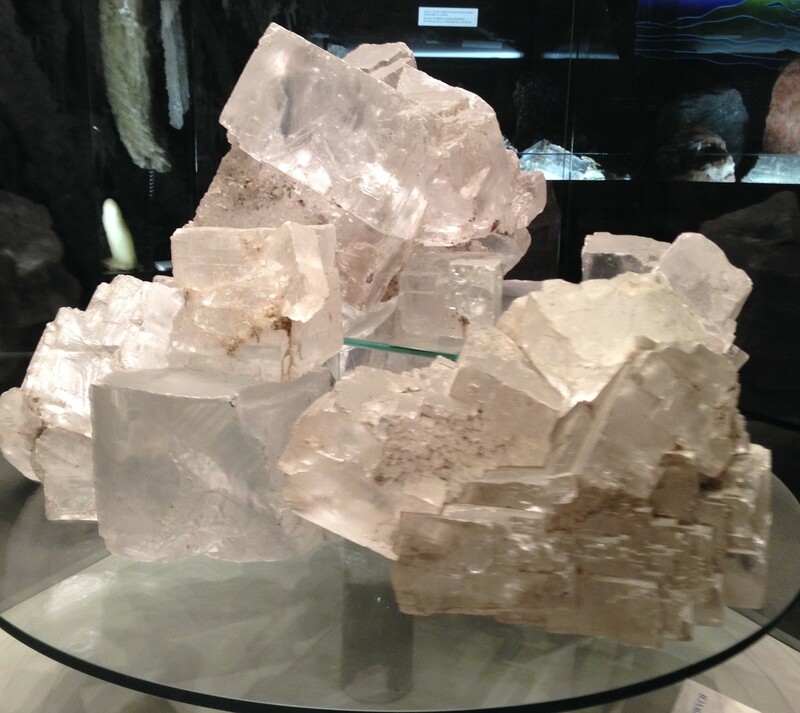 All along the way are examples of how the salt was mined over the years. 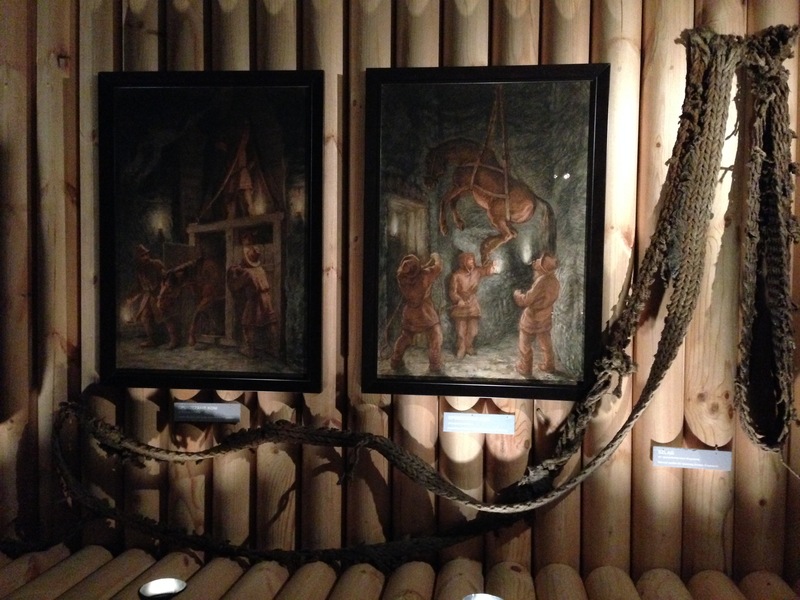 Horses and mules were used and lived in the mines and were lowered into the mine on the special harnesses. 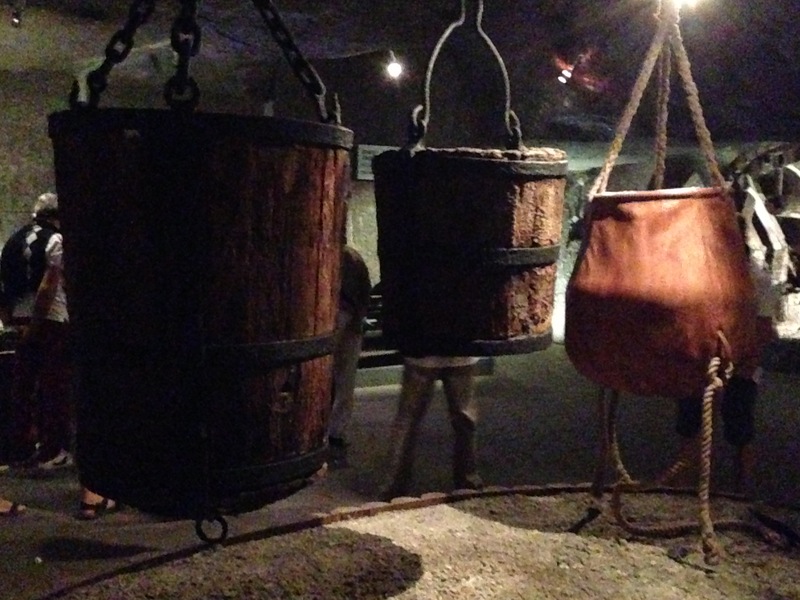 And they used buckets and leather pouches to hoist the salt and brine to the top. Everything was done with pulleys and winches of all kinds. One of the last big chambers or “rooms” you see is this chapel…the walls, floors, ceilings, everything is carved out of salt. 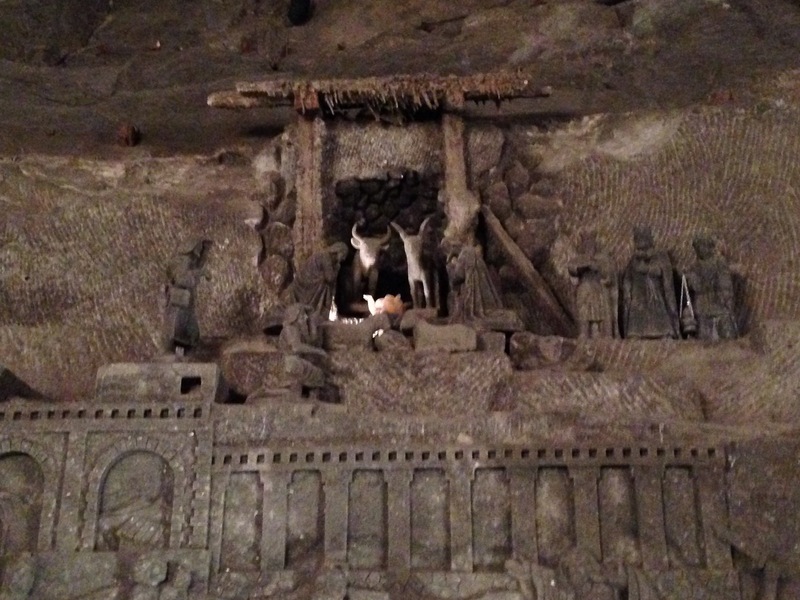 Even the staircase (yes, more stairs) are carved from salt. The walls are covered with carvings that were done by the mine workers themselves, not famous artists or sculptors…but the mine workers. 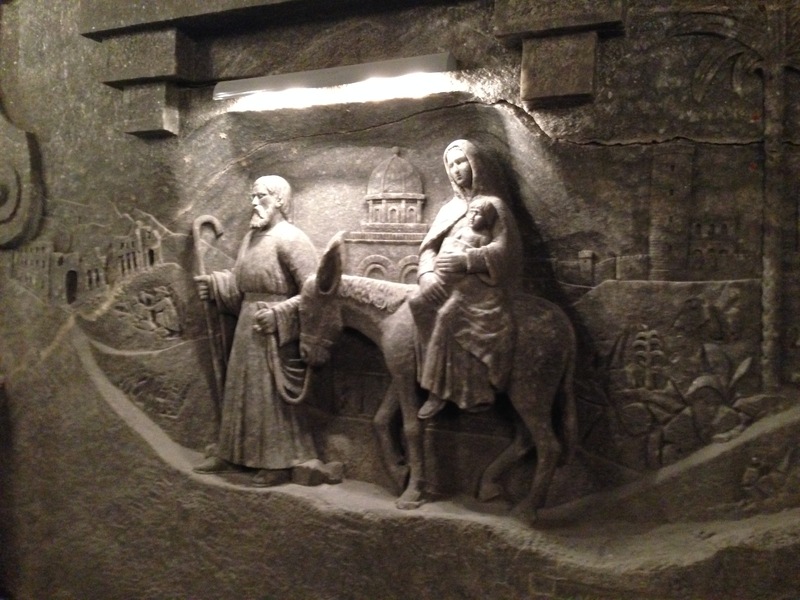 Like this one of the manger scene…see the cows looking after the baby and the Three Wise Men? Or this one of the Last Supper. Yes, that’s it behind those funny looking people. Fortunately the tour takes a little break here so you have plenty of time to admire them all. 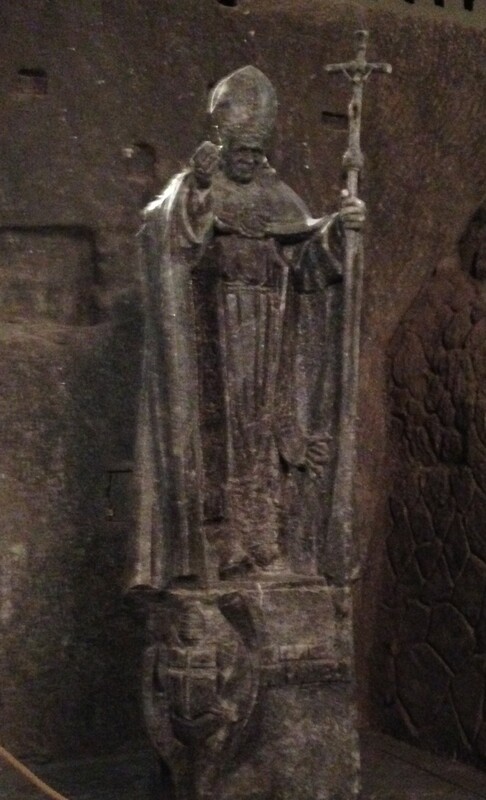 And when was the last time you saw the Pope immortalized in salt? 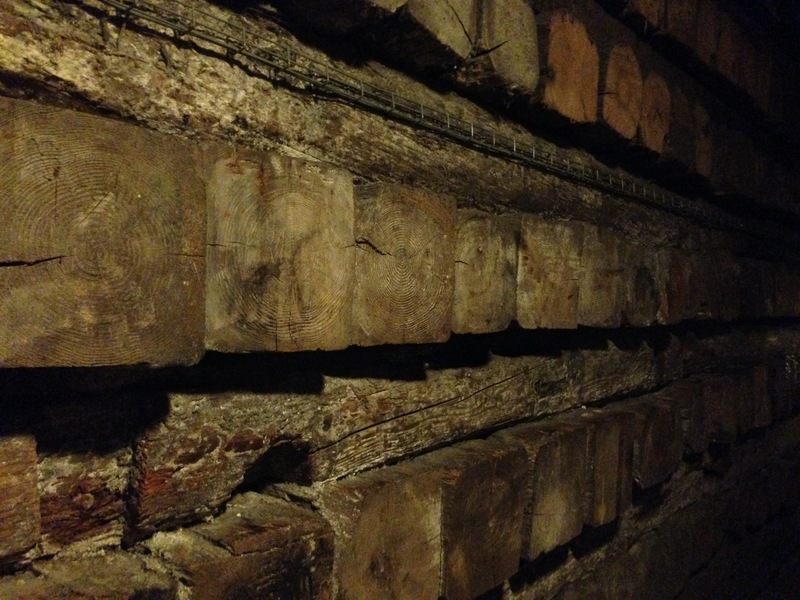 Then it’s onward to the “salt lake” and more passageways. 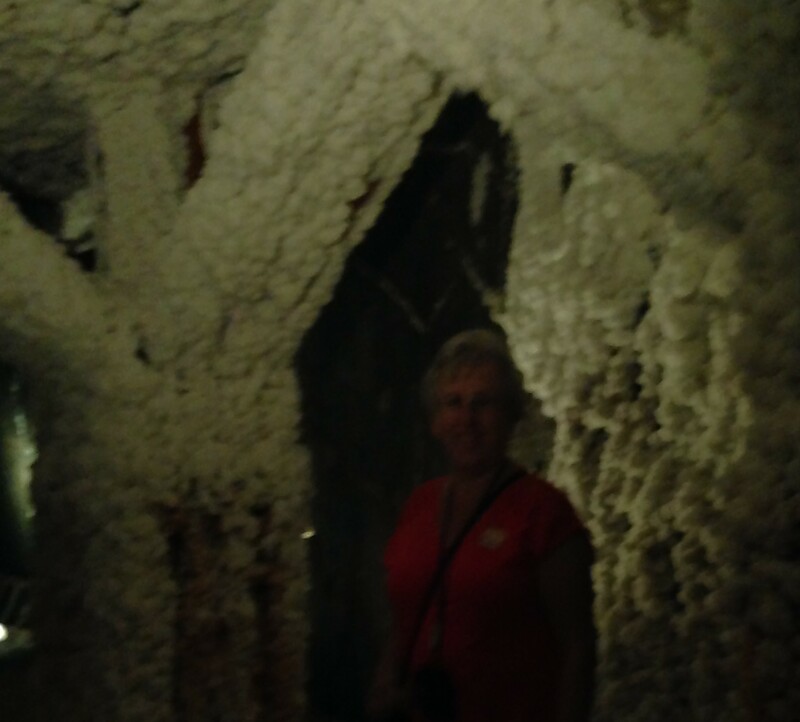 and a chance to take your picture with lots of salt! It was very dark in there! 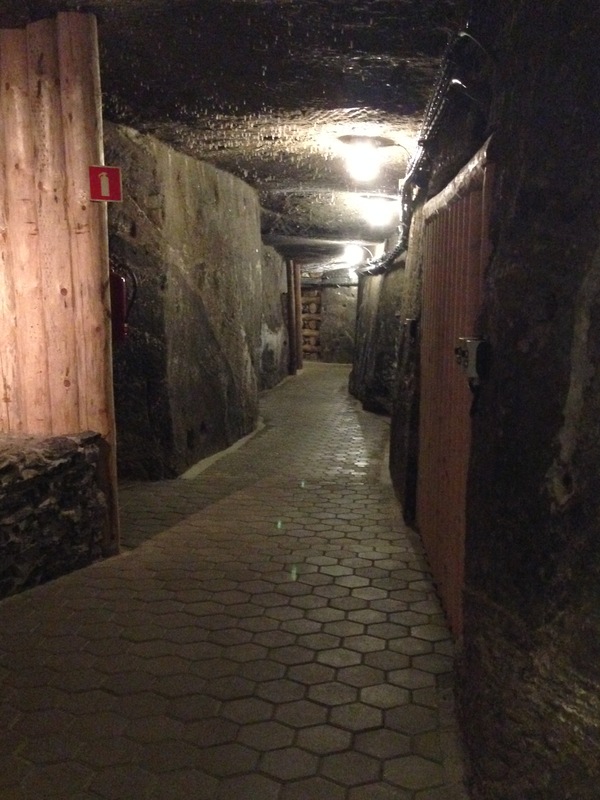 After this part of the guided tour is over, you can also tour a part that is more “museum-like”. Somehow for this part we were in with a Polish speaking guide…so we mainly just looked and pretended like we knew what he was talking about. We saw lots of big pieces of salt, and colored salt ….and the tour guide even chipped off small pieces of salt for us to take home. 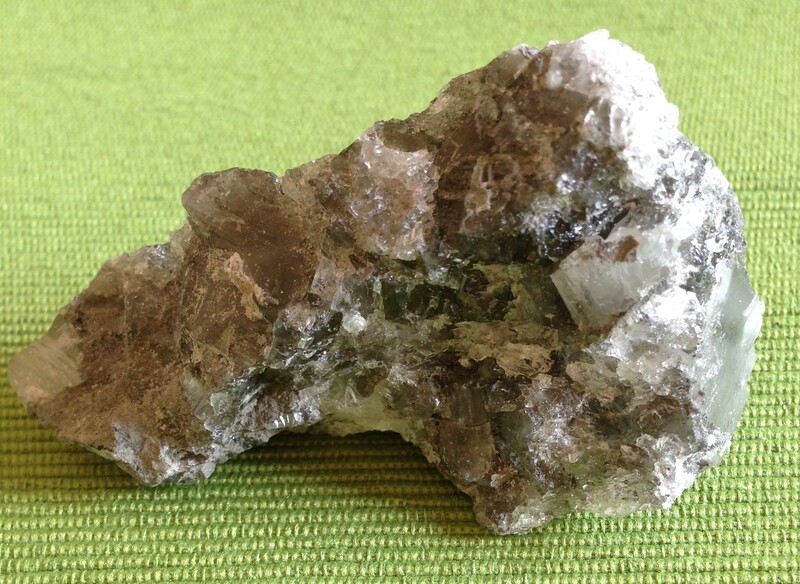 It looks like a rock specimen….but if you lick it, it’s salt! 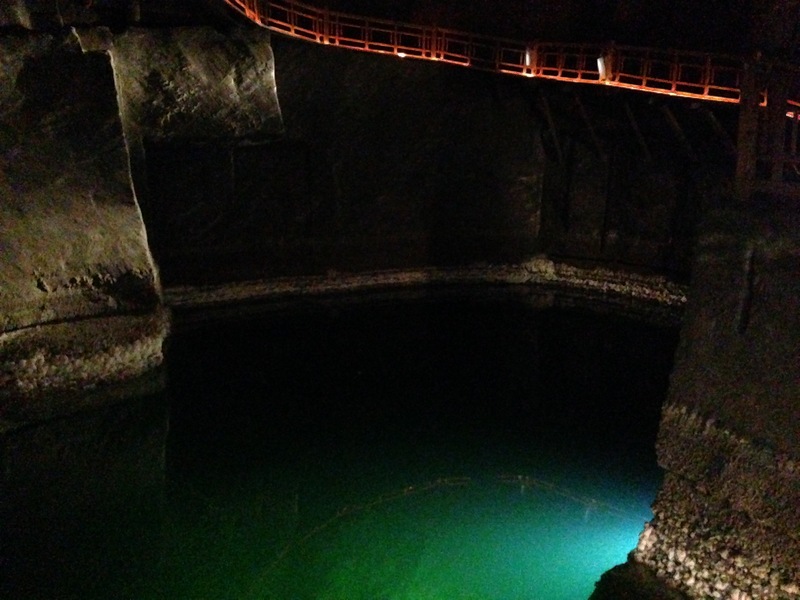 We spent about 4 1/2 hours walking in the mine, but the time really went by fast it was so fascinating. The best part is that there are no stairs to climb to get out of the mine. 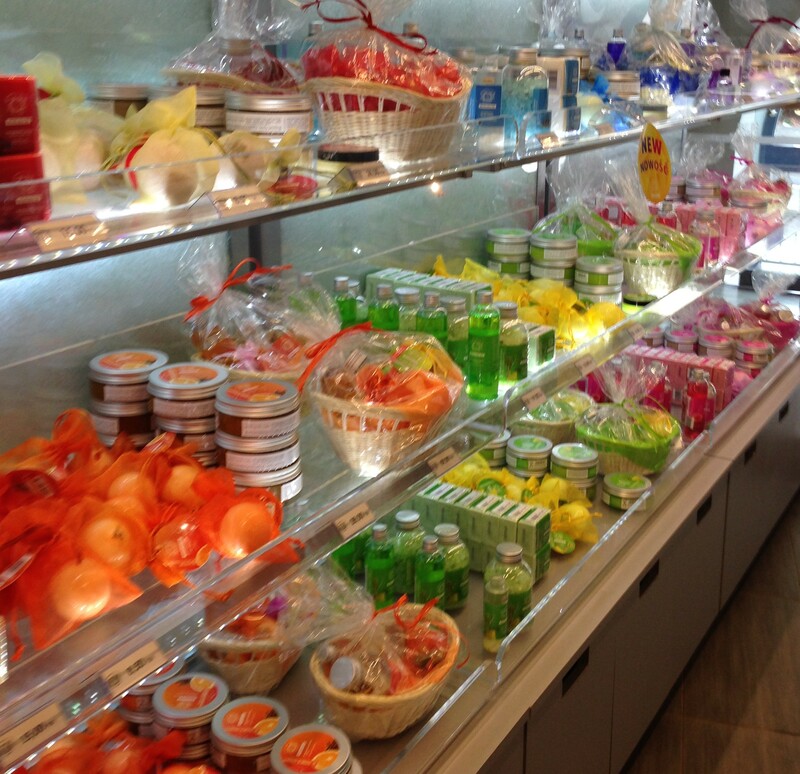 They whisk you up in an elevator…right into a little gift shop (of course!) 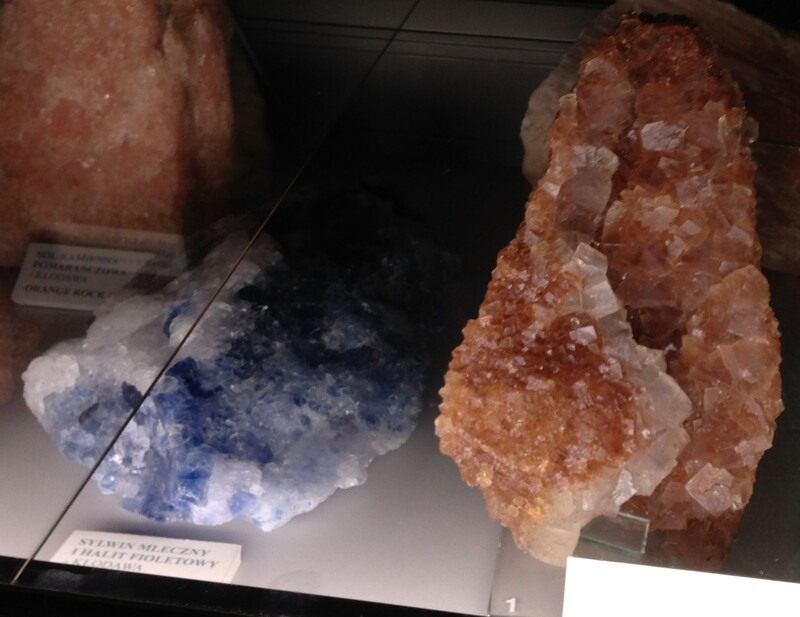 where you can buy all kinds of pretty, colourful things made of salt…or with salt.